George H.W. Bush left office in 1993, derided as a well-meaning but ineffectual leader. He left this world as a man hailed for his character and decency. Bush’s record hasn’t changed in the past quarter-century, but our politics have changed dramatically. 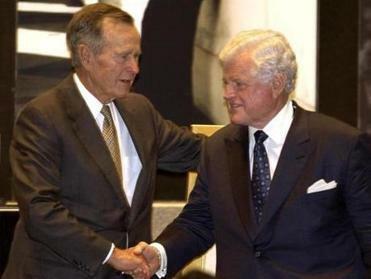 Bush, who died Friday at 94, is being lionized as a politician of decency, a man who appealed to America’s best self, a bipartisan patriot who wished the man who beat him, Bill Clinton, nothing but the best — because his success would be America’s success. 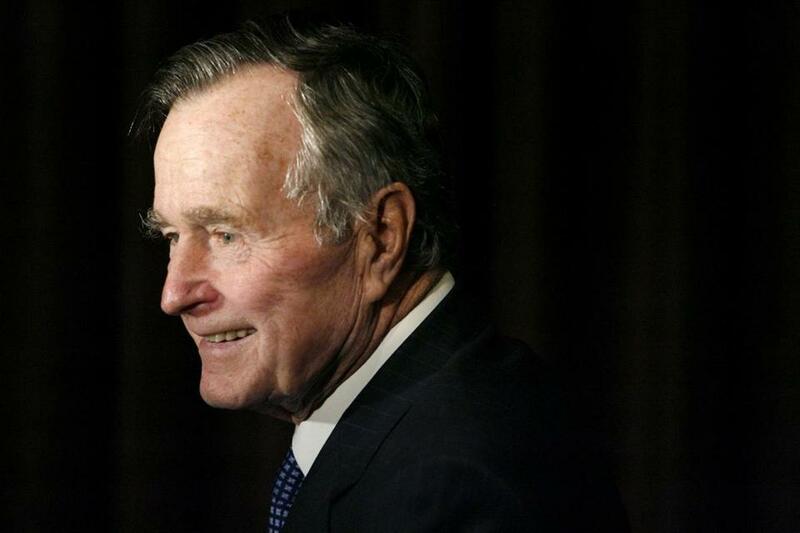 Without question, Bush richly deserves most of the praise he is posthumously receiving. His patriotism clearly was unquestionable, as was his fundamental decency. But it’s simply a fact that the full story is more complicated. As a congressman in the 1960s, Bush voted against landmark civil rights legislation. He was elected president over Michael Dukakis in 1988 on the strength of a vicious, sometimes race-baiting campaign. His adventure in the Persian Gulf planted the seeds for a tragic military policy that continues to ensnare us, and his domestic policy barely existed. I’d need a separate column to capture my dismay that Clarence Thomas sits in the Supreme Court seat formerly held by Thurgood Marshall. When you get right down to it, Bush wasn’t much above average as a president. Bush was a model of gentlemanly public service that has, in some ways, been abandoned. But the way we grade presidents has changed drastically, and we all know why. To be fair, time is often kind to presidents. Conflicts recede, and good qualities take on added weight. Jimmy Carter wasn’t a great president, but he has had a wonderful post-presidency that has sealed him in the public consciousness as a man of character and grace. Richard Nixon — once the definition of presidential failure — reinvented himself as a foreign policy sage. George W. Bush has had the good sense to mostly stay out of sight as a former president, and he too is reaping the benefits of our national attention deficit. In listing some of the elder Bush’s less august moments, I’m not being unkind. He went into the Oval Office with one of the most distinguished résumés of any occupant: former ambassador to the United Nations, former head of the CIA, former vice-president. He was a deeply distinguished public servant. But 1988 wasn’t that long ago. And I haven’t forgotten the Willie Horton ad that was meant to convince white voters that Dukakis couldn’t be trusted to assure their safety — that the Massachusetts governor was the kind of guy who would release black rapists and murderers from prison to pillage some more. (And hell yes, Horton’s race was central to that narrative.) Bush’s campaign was run by Lee Atwater, a master of the dark political arts who race-baited even as he liked to brag about sitting in with African-American blues bands during his down time. The campaign was so disgusting that Atwater apologized for it at the end of his life. Where is Lee Atwater in the obituaries? Admittedly, these complaints may seem almost quaint in light of recent events. Bush was never accused of cheating on his taxes, or of building a financial empire through decades of bankruptcies and shady deals. He didn’t mock opponents, or federal judges, or the press, or the disabled, or women. Bush would never have defended a Saudi regime that murdered an American journalist. His anti-Russia bona fides were impeccable; when he negotiated with Mikhail Gorbachev, no one wondered what the Russians had on him. As his elegant torch-passing note to Clinton exemplified, Bush believed that the presidency was about something bigger than partisanship. Even though he was not personally gifted with much of a common touch — it was his distant, vaguely patrician air, as much as anything, that sank him against Clinton — he wanted to be the president of all Americans. As we watch that expansive sense of the office — and the republic — curdle into something smaller every day, we are quite right to miss it. So it isn’t just Bush we mourn. We also miss the country that presidents once sought to bind together.